In the South we have a saying, “It is all over but the shouting.” Even Rick Bragg wrote a book with that as the title. Well it is all over but the binding on my Puzzler quilt aka MP and Linda or Agent Wade as I call her will know what that means. An inside joke at our secret sewing heaven. We laugh and say we have two members in our secret organization of long arm quilting like crazy and one of us has to either quit or leave this world for someone else to join which neither one of us is going anywhere and if we do the other will not let anyone else join so no use trying to knock one of us off to get in the club. Today I finished it. I have been working on the Puzzler for a couple of days now. Not fulltime during the day but thirty minutes here and thirty minutes there. You get the idea. This morning before Linda arrived I FINISHED ALL but the binding! 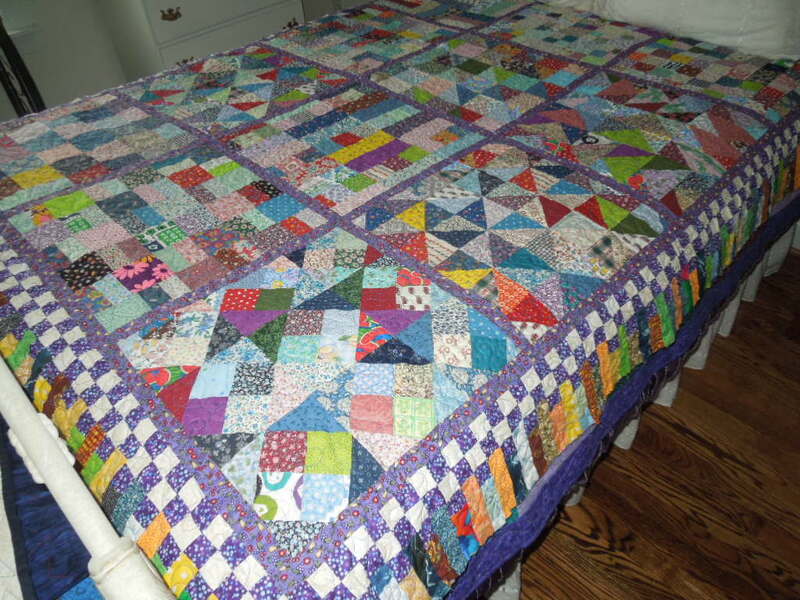 Never mind the quilt top has been finished a long time. Maybe eight or nine years. I will have to look on the magazine to be for sure. It needed the piano key border. 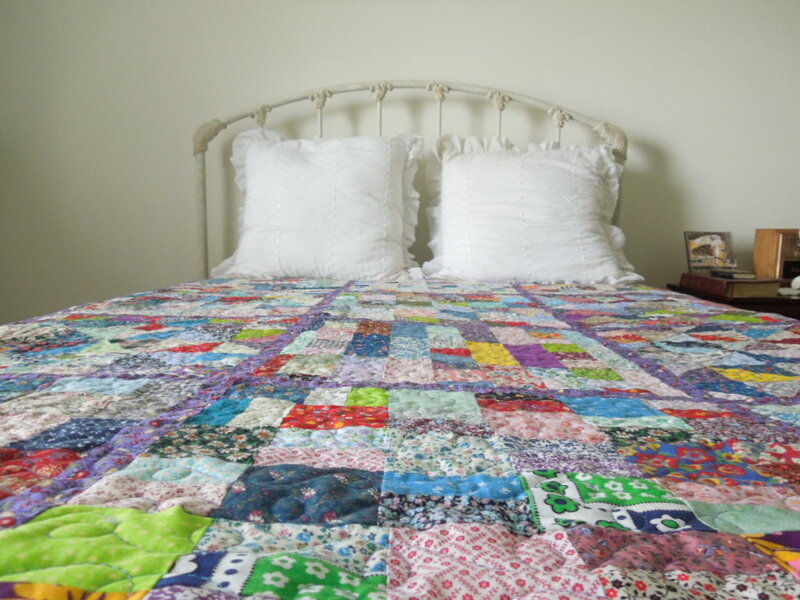 I finally got that finished and on to the frames to be quilted. Lizzie sure has gotten a work out lately. Agent Wade I know you can see this and you can look on your magazine which you probably have at your fingertips and see what year it was. I did not have it exactly straight on the bed. Nothing fancy on the stitching just whatever came to mind. 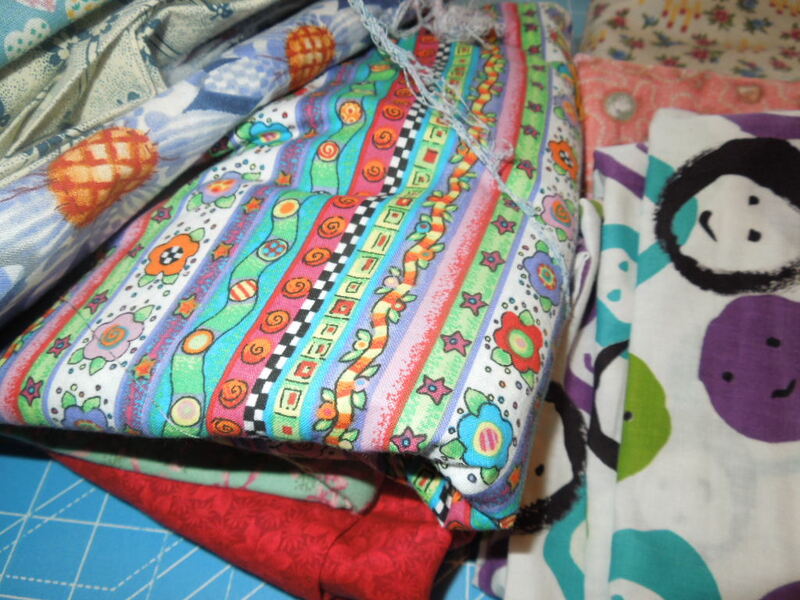 The below pieces will be cut in to strips sewn together to make a very colorful border. 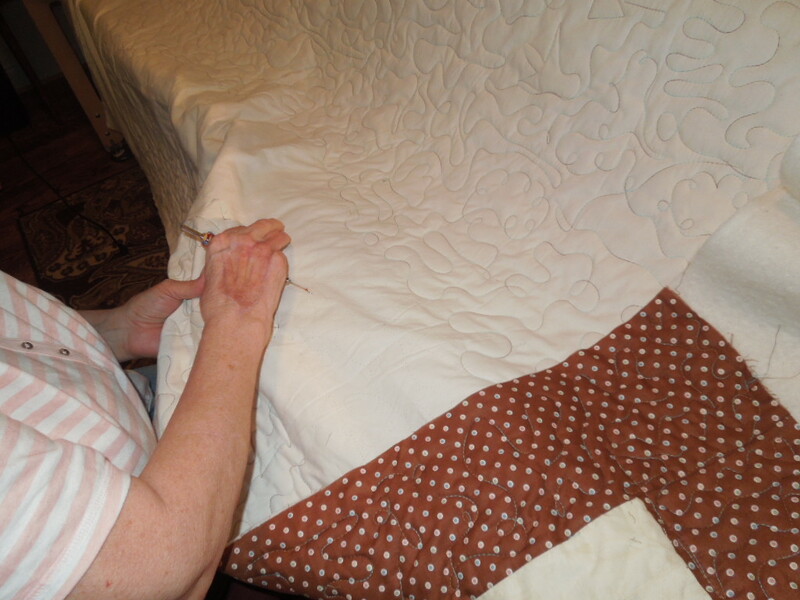 I always think of my mother in law when I am quilting “Chris how in the world can you stand to cut up perfectly good beautiful fabric only to sew it back together!” I laugh when I am cutting and sewing. She was serious! 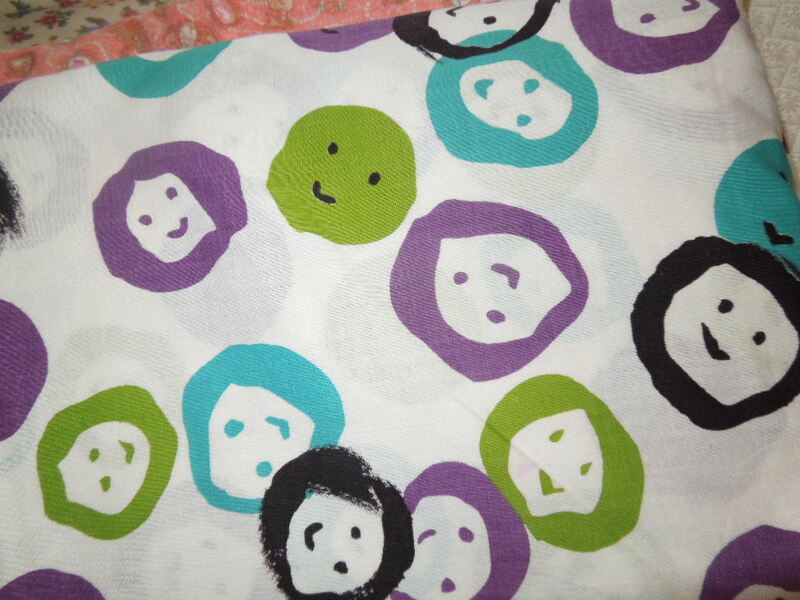 Is it me or does this fabric look like aliens ,cavemen and hippies? I have done other things besides sew. Ceramics, porcelain dolls and soft sculpture fabric dolls. Margaret Adams a friend of ours used to have a ceramic shop in Gadsden AL. I went there and took classes to get certified with Doc Holliday Ceramic Company. This was one project we did. I can not draw a straight line but I was able to do this. I for the life of me can not remember how we did it but I sure remember I had a great time! 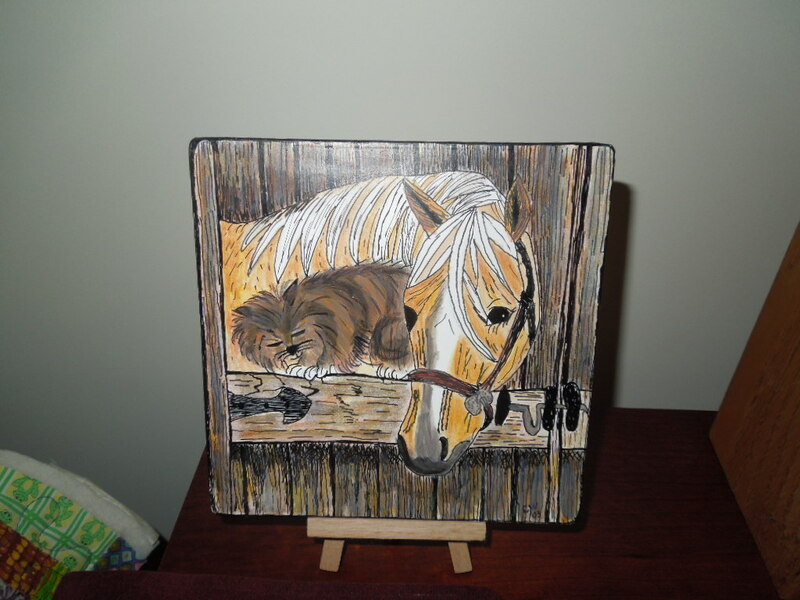 It is on a piece of plain tile. Another bites the dust with Linda today. She got here this morning I had her quilt loaded on the frame and all we needed to decide is what thread choice. Oh she chose the one I was hoping she would. It had brown and turquoise in the thread. 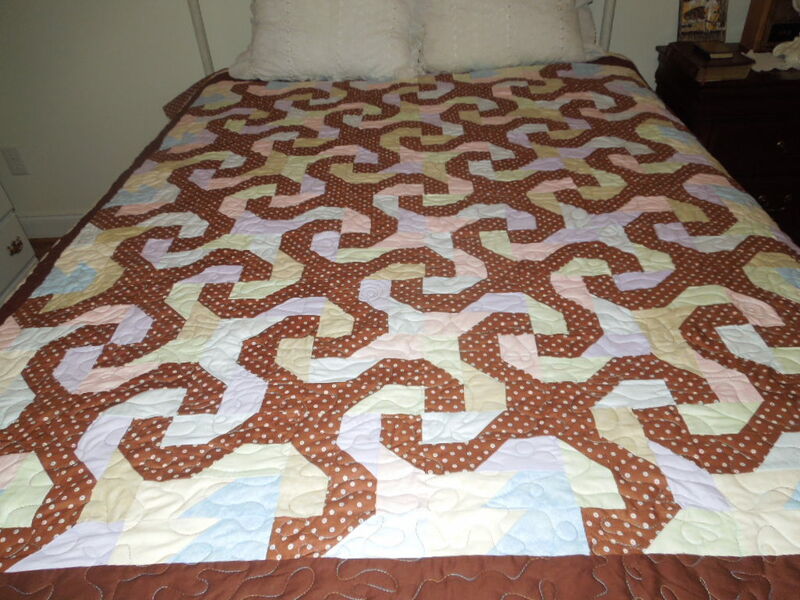 That was the colors in the quilt along with the brown. Does this not look like a bunch of monkeys swinging around? It is named some type of monkey but she was so tired she could not think of the name. 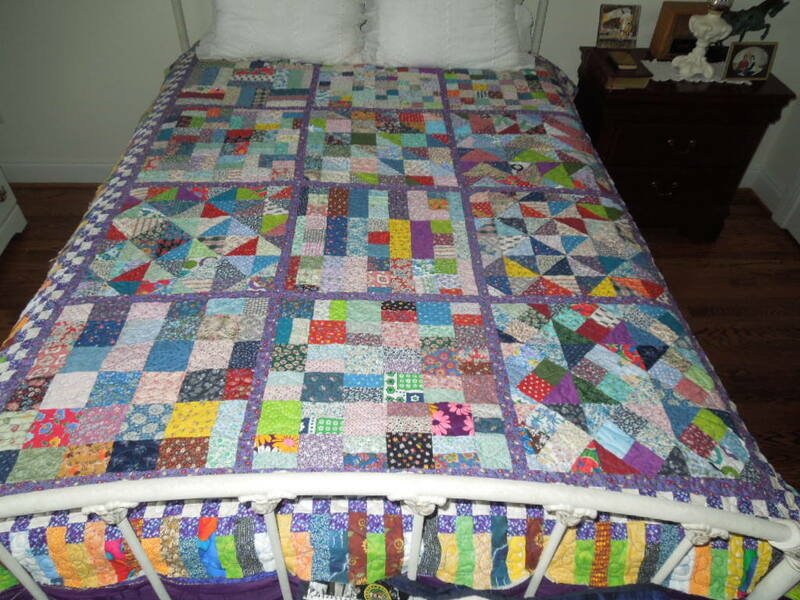 I did not have many pictures of her quilt. It was not that I did not care for it because I love it, that was not the case at all I WAS BUSY. 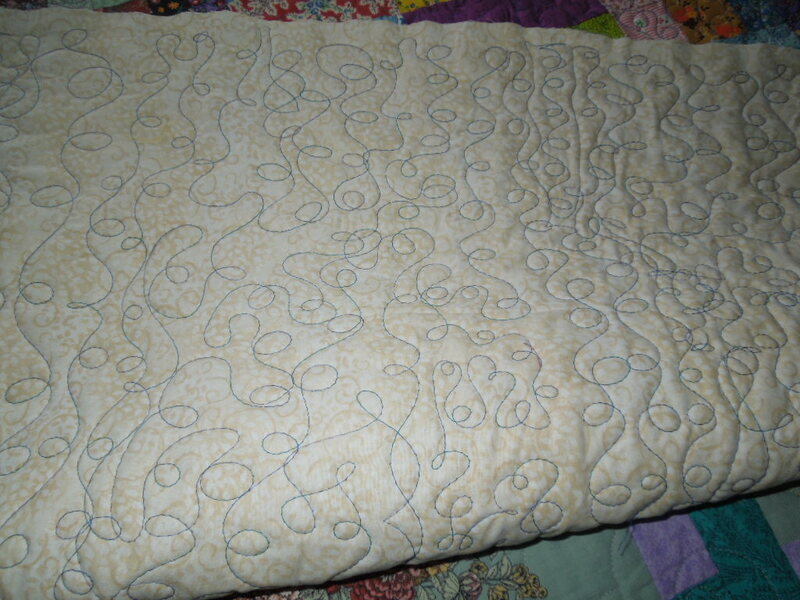 While Linda was quilting on Lizzie I was busying putting together a receiving blanket of a pattern I found online. I am still laughing. 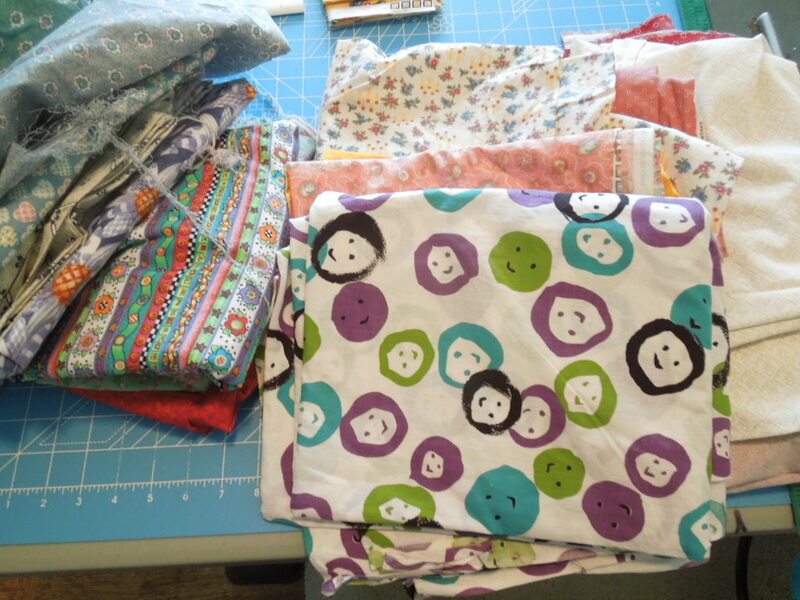 Linda said we could take the scraps and make a burp cloth. I looked at her like puzzled myself and was like “UM what is a burp cloth?” I bet she is still chuckling. I never heard of such. I know as much about kids as I do how to build a car motor. NOTTA.. I never had any so I do not have a clue on all the burp things you have!!!! As always it worked out perfectly UNTIL THE LAST ROW. Then came the picking. I did not realize I took a picture of Linda’s scar on her hand. A couple of years ago I almost lost my dear friend to MRSA. Life today would not be the same without this kind soul. Linda is a blessing to everyone that crosses her path. She finished at nine this evening and I was sad to see her and her monkeys leave. Well until next time. Stay tuned. 2 Responses to It Is All Over But The Binding! I paid a visit to these girls yesterday(they wouldn’t let me stay long and hinder them, no ironing to do) but I know they have some of the prettiest quilt tops!!!!! I can’t believe they sew all those pieces together and they come out so beautiful!!! I can’t wait to see the next one every time they finish one AND they have such a good time. SO TALENTED!!! 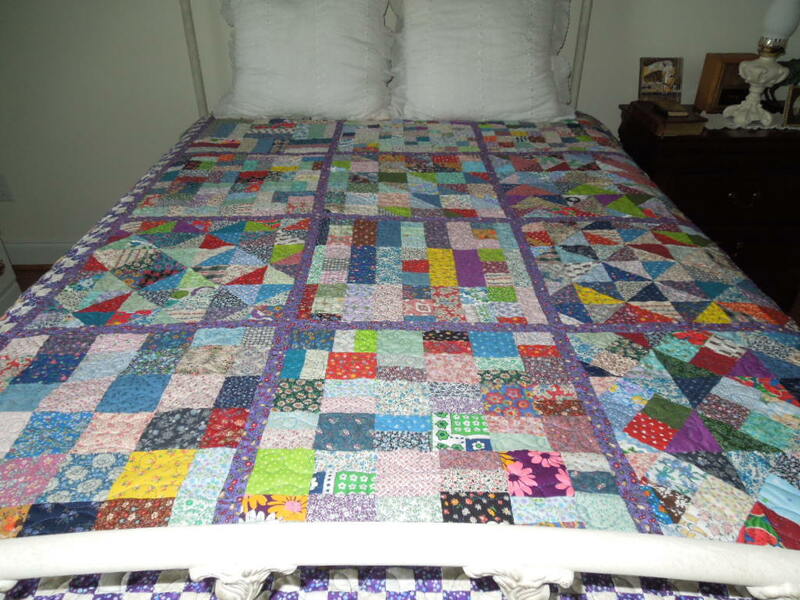 Nice quilt that you finished! 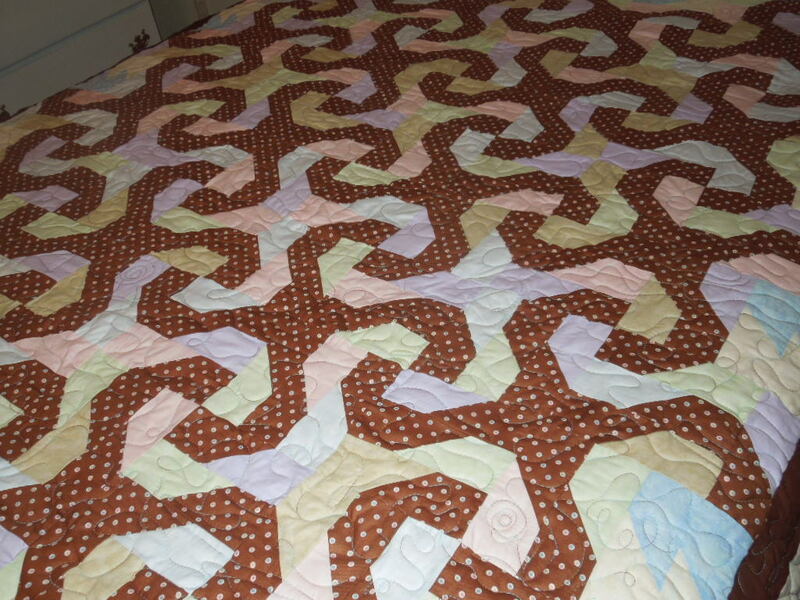 Cute baby quilt, too. 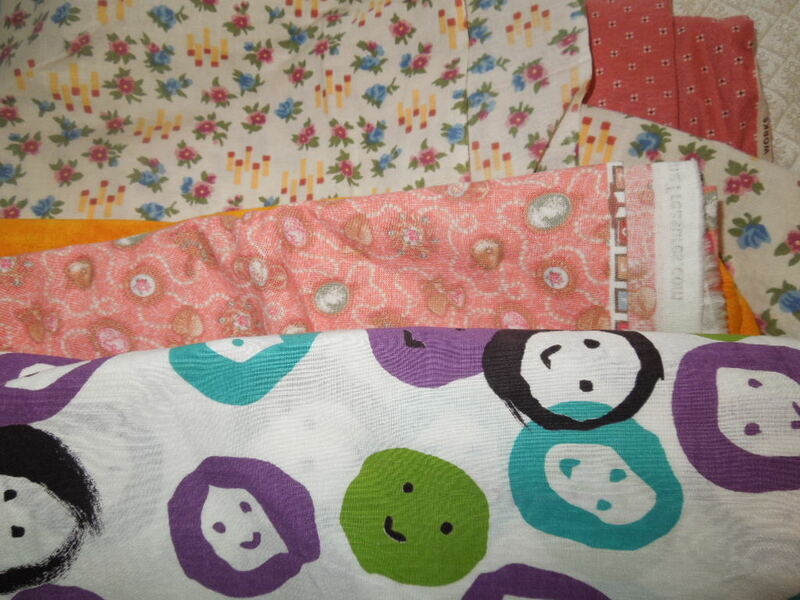 Gee, if you never had kids, how would you know about burp cloths. I didn’t, until my niece was born.